I haven't done an Obscure Games for a while, but I thought that I'd do something a little bit different this time. Here's a list, with capsule reviews, of roleplaying games that game designers should be familiar with, in addition to D&D. These are games that introduce some sort of concept that I think should be considered by people designing roleplaying games. 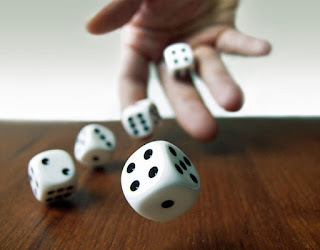 They are not necessarily my favorite games, though in many cases they are, nor are they necessarily games that as a whole are fun to play, only ones that have something of interest to add to the body of game design. Albedo The Role-Playing Game: Often dismissed due to its "furry" content, Albedo is actually a solid hard-SF setting with innovative RPG mechanics that deserve more attention. Set in a region of space that is populated by genetically uplifted Terran animals (who basically awoke one day with full intelligence, raised by AI systems that taught them the sciences and so forth), the game follows the rising tensions between the Interstellar Confederacy (the ConFed) and the Independent Lapine Republic (ILR, or The Republic). Notable game systems include the unusual treatment of armor and injury and the author's first attempt at Ties/Antipathies and their effects on the character's Self-Image (see Lace & Steel below for the game designer's second foray at the concept). There's also a solid mechanic for simulating the character's ability to act in stressful situations, called "Coolness Under Fire". The emotional state of characters is an important area of design that has been largely ignored in the past. Call of Cthulhu: At this point, most people know of this game and its primary innovation, the Sanity system. Still, I should at least mention it here. 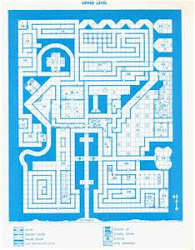 Dungeon Crawl Classics: Mostly just a new way to approach the same game systems as D&D, while updating the game a bit, but still keeping the "old school" nature of the rules. The way that magic is handled, with Patrons and variable spell effects and so on, indicates a way to keep magic from becoming too predictable without screwing over players who choose to play magic-users. Fantasy Wargaming: Generally only noted when people want to make fun of it, Fantasy Wargaming is a better design than its detractors would have it (if, unfortunately, underdeveloped and poorly laid-out in ways that lead to detraction by those who only read and never play). I've already done an extensive review of this one, which I link at the beginning of this paragraph. Systems to watch include the unified magic and religion system, what is among the earliest attempts to deal with characters' emotions in the "temptation" system (I'm not sure whether Call of Cthulhu's Sanity system predates it, as both games were released in 1981), and the integration of the medieval "physics" system (that is, astrology) into nearly every aspect of the game. Flashing Blades: Still, in my opinion, the best swashbuckling RPG out there. It has quick, yet flavorful, mechanics to cover the sorts of scrapes that musketeers and pirates find themselves in, as well as the sorts of dirty tricks they pull to get out of those scrapes. Most importantly, though, it has an extensive "Career" system that allows a character to start at the bottom and work their way to the top in one field or another, whether that be the Royal Bureaucracy, the Church, or the Military, among other pursuits. GURPS: Among other things good about it, GURPS includes a lot, and I mean a lot, of useful detail in its various supplements, from how quickly characters can dig to potential problems with pregnancies. I'd especially point designers toward some of its alternative magic systems, and most especially to the one they call "Path/Book Magic" (sometimes just "Path Magic") in the fourth edition. In the third edition, it was called "Spirit Magic". Hârnmaster: Designed specifically for the world of Hârn, obviously, but people have adapted it to other settings as well. The system is not very different than that of RuneQuest, but the way that combat wounds are handled should be something that every designer knows about. Basically, each wound is described based on the type of damage (blunt, edged, puncture, etc), the severity of the blow, the location hit, and so forth. If the wound is bleeding, that is noted. Each wound is given a rating indicating how severe and therefore how much it affects the character through pain, tissue damage, and so on, and then when it is treated it also gets a rating for how fast it will heal. That also leads to examining if the wound becomes infected. Treatments are based on the type of damage, so that a bruise might only need an herbal compress, while a similar cut needs to be bandaged, and a compound fracture might need a surgeon (or chirurgeon). This sounds complicated, but in fact is very easy to do at the table, only slightly more complex than RuneQuest's tracking of hit points by location or GURPS's handling of "major wounds", critical hits, special damage types and hit locations, and so on. Lace & Steel: Designer Paul Kidd's second RPG design, it refines some of the concepts that he worked on in Albedo, above. The setting is fun, with a number of mainly Greek mythological races (trolls and pixies being the main exceptions) living in a mostly Renaissance-era setting with magic. The biggest weakness of the game is the reliance on proprietary card decks for major game systems. That was fashionable at the time, but there's a reason that almost no games use those methods today. To me, one of the most useful design ideas is the concept of "travel fatigue". Basically, characters roll against their Travel skill and Endurance every day or two of travel to avoid minor discomforts, or even losing items of equipment or damaging clothing. Properly-cooked food or spending the night at the inn instead of in the open can help recover this fatigue during the journey, with more luxurious rooms providing a better chance of recovering from the fatigue. There are also mass combat and ship combat systems, so that the players can be involved in major events. Pendragon: Using a simplification of Chaosium's Basic Roleplaying system as a base, Pendragon is simply the best Arthurian fantasy game out there. It includes several innovations that help reinforce the mood and setting, such as a system of Personality Traits and Passions that provide a method of depicting characters' emotions, built-in high-level play such as tending the characters' various manors that provide them with income and a base of operations, and the concept of "Dynastic Play", where the player will eventually end up, in a continuing campaign, playing their original character's children, grandchildren, and so on. Personally, I like the fourth edition, which includes a magic system and provision for wizard and female characters, but I understand that some people are less fond of that one. I don't know much about the fifth edition, to be fair. Reign: Using the "One Roll Engine" (ORE) system, this fantasy game focuses on faction play. That is, the characters will be in charge of some organization or group that allows them to participate in the high-level events of the setting. One notable feature is the ability to either design or roll a character randomly, in a way that doesn't privilege one over the other. But it's the faction rules that should grab the attention of a prospective game designer. The Riddle of Steel: Takes a lot of ideas from Pendragon and other games, which is fine, but the main innovation that this game brings is a solid grounding in actual medieval weapons use. Also includes another way to integrate character personality and emotions into the game mechanics. Unfortunately difficult to find, there is a "successor" game called Blade of the Iron Throne that apparently develops the system further in a more sword & sorcery setting, but I haven't seen that game and can't comment on it. Space 1889: For whatever reasons, some people don't like the game system that GDW developed for this game, which was a simplified version of the "GDW House System" that powered the second edition of Twilight 2000, along with other games such as Traveller: The New Era and Dark Conspiracy. That said, the method that the designers chose to represent the abilities of inventors was a surprisingly interesting system, pointing toward an alternative way to approach "magical" abilities in a game, or could probably be adapted to any of a number of different game abilities. Stars Without Number: Another game that is built on a D&D-like game system, the setting is purely designed to facilitate gaming, and should be examined carefully for its lessons in that vein. In addition, the game includes a number of Referee tools to facilitate running it, such as faction rules (see Reign, above), the concept of location tags (to provide a quick differentiation between one place and another), and so on. The game is a mastercourse in game design focused on the needs of a roleplaying campaign. All of the other games from Sine Nomine Publishing (the imprint of the designer, Kevin Crawford) are also worth examining for various reasons, generally having to do with systems that enable and facilitate "sandbox" style play while also providing a dynamic background. Swordbearer: There are a lot of little rules choices here that serve to make a fairly unusual gaming experience. Notable ones include the abstracted approach to character wealth, where wealth is related to social status directly and finding treasure only acts to change the effective social status of the character (this has been approached in other games since, with varying degrees of success), the highly flavorful magic system, and (for me at least) the detailed travel rules, with parties taking time for breaks during the day's march, an extensive table of terrain and how long it takes to cross the various types, and so on. Combined with the "travel fatigue" rules of Lace & Steel, above, and the wilderness survival rules found in some Traveller supplements, I would be in some bliss. Traveller: Most roleplaying games include the concept of increasing a character's personal abilities through "experience" or similar victory point systems, to the point that computer RPGs are partially defined by this feature. 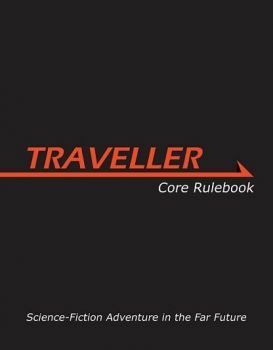 Traveller provides an interesting alternative to this method of character advancement. In this game, characters increase in power through acquiring wealth, building networks of contacts and favors, and so forth rather than through increasing their personal abilities. Advancement is also not tied to any predetermined abstract scheme (gaining victory points for finding treasure or completing story goals or whatever), but is concretely related to what the characters do in the setting. This doesn't mean that the characters can't increase in skill over time, but the timeframe is much longer than most other RPGs choose, and also is not tied to any action the characters perform other than pursuing that skill increase. MegaTraveller allows for more experience-based advancement, but the timeframe is still incredibly long compared to other RPGs. This helps add to the sense of the game that time passes while the characters work on long-term problems. The game has a long history and includes a number of excellent supplements, too, ranging from detailed survival rules in the "Environment" series from Gamelords to the excellent player-facing dynastic game found in the Pocket Empires supplement for the fourth edition of the game. There are likely other games that I could include (CORPS comes to mind), but generally the principles that I think that they present are too difficult to explain. Obviously, a game designer should be conversant in a wide number of games in order to have a body of ideas on which to draw and then fit to the particular game being designed. [EDIT 9 Mar 2019] I have taken the perhaps extreme action of removing one of the entries that was in this list. I find myself unable, in good conscience, to continue to promote the particular game. I will consider adding in a replacement shortly.